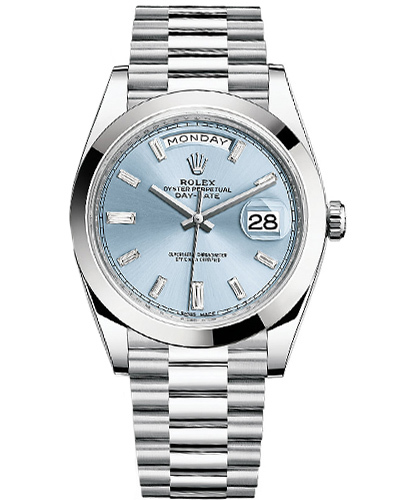 Rolex Oyster Perpetual Day-Date 40, Platinum Case and President bracelet, Ice-Blue dial with diamond hour indicators, ref. 228206. One of the many Rolex watches owned by martial artist Conor McGregor is this Rolex Day-Date 40 Platinum. 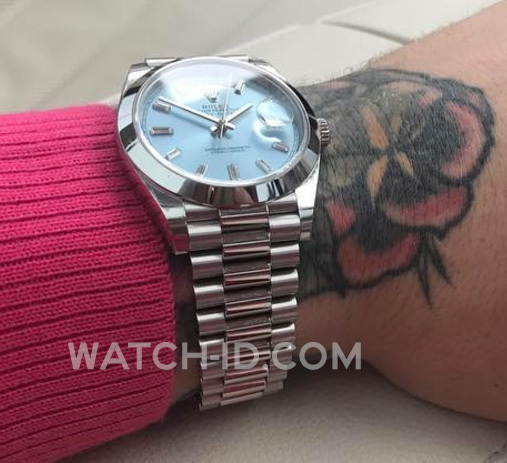 This particular Rolex Oyster Perpetual Day-Date 40 watch has a Platinum Case and President bracelet, Ice-Blue dial with diamond hour indicators, reference number 228206. McGregor also owns a yellow gold Rolex Day-Date 40, and an Everose Gold Rolex Sky-Dweller, a Yacht Master 2 and a few Patek Phillipe watches.